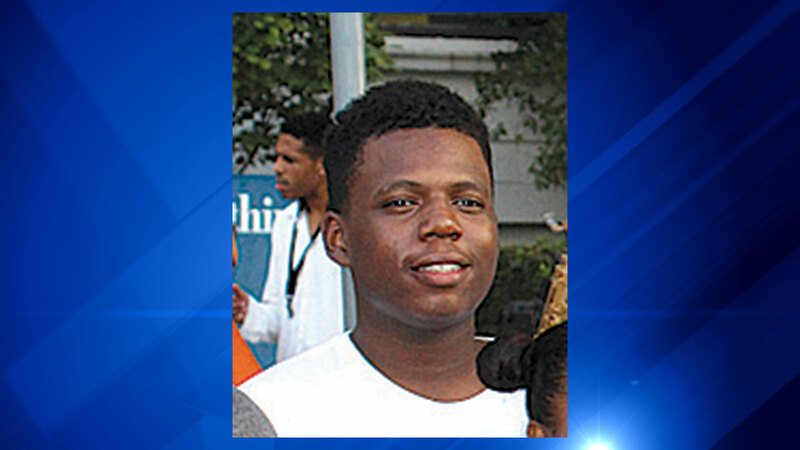 CHICAGO -- Two teenagers have been charged in the fatal shooting of the teenage grandson of Congressman Danny Davis, D-Chicago, Friday night, police said. Javon Wilson, 15, was home with his siblings in the 5600-block of Princeton Avenue Friday evening when police say two teenagers came into the home and started an argument over gym shoes. Congressman Davis, who represents Illinois 7th Congressional District, said one of the teens pulled out a gun and shot his grandson in the head, killing him instantly. Police initially may have been part of a home invasion, but investigators it was a fight among teens who knew each other. Police announced first degree murder charges against a 16-year-old boy and 17-year-old girl Sunday morning. They are being charged as adults, police said. "His life is gone but I tell you I just hope that we can learn from this kind of tragedy, how to prevent from reoccurring and that's what I'm going to devote my time to and my life to and I'm sure my son will do the same thing and we will just keep moving and do the best we can," Davis said. On Saturday, Davis said guns should not be so easily accessible to youth. He said Chicago's gun violence problem has never hit so close to home. "We have to find a way to get some of the guns out of our environment," he said. "I have spoken at many teenage funerals. I have comforted many families but never quite this close." Davis kept a full schedule of events on the city's South Side Saturday as his family prepares for the unexpected funeral of Javon. Outside of Davis' West Side office, a small crowd gathered Saturday afternoon to offer support and prayers. "We want to send a message first of all to the congressman let him know we love you and our hearts go out. Violence can strike anywhere," said Kevin Copeland. The death of the congressman's grandson has put Chicago's homicide count back in the national spotlight. Former U.S. House Speaker Newt Gingrich, who is a close campaign advisor to President-elect Donald Trump, tweeted "Chicagoans are Americans. Their civil rights matter.being killed ends your civil rights. City has failed. State has failed. Need US action"